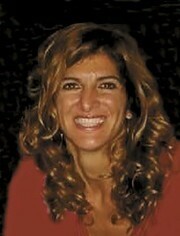 Jane Imburgia joined Ocean Pointe, Realtors in 2013. Prior to entering real estate, Jane enjoyed a 15 year career in corporate sales and was trained and inspired by some of the best like Dale Carnegie and Kimberly-Clark Corporation. In her tenure in the business, she strives to be someone in whom her clientele and colleagues can put their trust and faith. Drawing from years of experience as a corporate sales rep, Jane has built a reputation for her refreshingly friendly customer care. She understands that buying and selling is one of the biggest decisions in a client’s life and views representation and guidance of her clients through this process as a true privilege. She is dedicated, knowledgeable, and committed to finding the perfect fit, whether apartment or home, for her clientele. Her devotion and unparalleled customer service has resulted in a continuously expanding network of loyal clients and referrals.